6DoF Tracking Device for Automated Applications - CMM Inc. The Leica T-Mac (Tracker-Machine control sensor), operates similarly to the wireless Leica T-Probe, but is designed without a contact probe or tip. 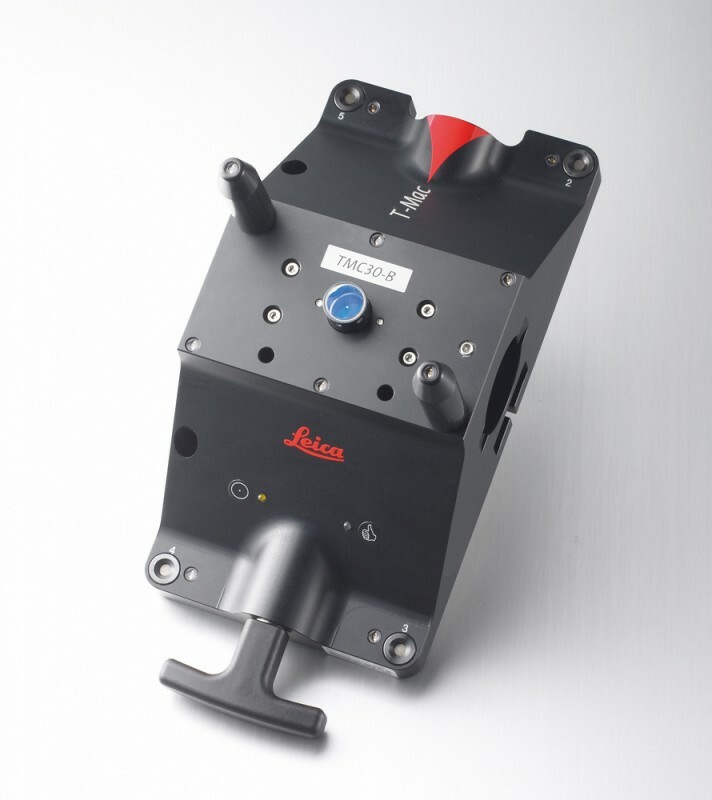 As a result of the unique design, this innovative 6DoF measurement device is the perfect solution for customers who have either modified their existing Leica T-Probe or have expressed interest in doing so. An off-the-shelf solution, the T-Mac can be custom-tailored to meet the needs of a specific application. For instance, an interface for precise tool exchange units can be included.